The 1960 UEFA European Nations' Cup was the first European Football Championship, held every four years and endorsed by UEFA. 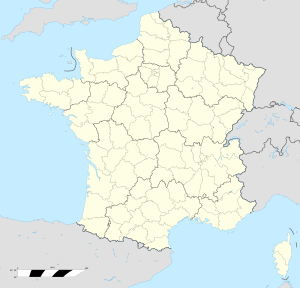 The first tournament was held in France. It was won by the Soviet Union, who beat Yugoslavia 2–1 in Paris after extra time. The tournament was a knockout competition; just 17 teams entered with some notable absences, West Germany, Italy and England among them. The teams would play home-and-away matches until the semi-finals; the final four teams would then move on to the final tournament, whose host was selected after the teams became known. In the quarter-finals, Spain, who were under Francisco Franco's far-right dictatorship at the time, refused to travel to the Soviet Union (the main supporter of the Second Spanish Republic in the Spanish Civil War) for the first leg. 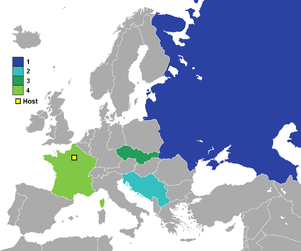 Spain were disqualified and, accordingly, three of the final four teams were from communist countries: USSR, Czechoslovakia, and SFR Yugoslavia, to go with hosts France. In the semi-finals, the Soviets made easy work of the Czechoslovaks in Marseille, beating them 3–0. The other match saw a nine-goal thriller as Yugoslavia came on top 5–4 after coming back from a two-goal deficit twice. Czechoslovakia beat the demoralized French 2–0 for third place. In the final, Yugoslavia scored first, but the Soviet Union, led by legendary goalkeeper Lev Yashin, equalized in the 49th minute. After 90 minutes the score was 1–1, and Viktor Ponedelnik scored with seven minutes left in extra time to give the Soviets the inaugural European Championship. ^ The Soviet Union advanced to the main tournament as Spain were disqualified after they refused to travel to the Soviet Union for the first leg of their quarter-final. 1960 European Nations' Cup finalists. In all matches but the final, extra time and a coin toss were used to decide the winner if necessary. If the final remained level after extra time, a replay would be used to determine the winner. All times are local, CET (UTC+1). There were 17 goals scored in 4 matches, for an average of 4.25 goals per match. ^ Rostance, Tom (21 May 2012). "BBC Sport - Euro 1960: Lev Yashin leads Soviets to glory in France". Bbc.co.uk. Retrieved 17 June 2012. ^ "Soviet Union 2–1 Yugoslavia". UEFA.com. Union of European Football Associations. Archived from the original on 17 August 2000. Retrieved 1 July 2012. ^ "1960 team of the tournament". Union of European Football Associations. 1 February 2011. Retrieved 2 October 2012. Wikimedia Commons has media related to UEFA Euro 1960.